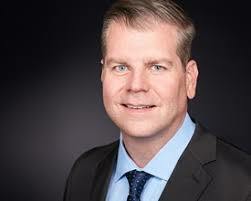 Longtime U.S. Olympic Committee public relations executive Patrick Sandusky has been named senior vice president of sports public relations for The Madison Square Garden Company. In the newly created role that he will begin March 12, Sandusky will oversee communications for the New York Knicks and New York Rangers. He will also be responsible for overseeing team efforts related to major announcements, issue management and other communication initiatives. Sandusky, who serves as the USOC’s chief external affairs officer, has been with the Olympic organization for 10 years. In that role, he has served as the organization’s chief spokesperson, overseen government affairs activities and driven international outreach and campaigns to promote the U.S. team in foreign markets. Previously, he served as vice president of communications for the Chicago 2016 Olympic and Paralympic Bid Committee. He also worked for nearly 10 years at Hill & Knowlton Public Relations.